[無料] Backgammon Stars | Mac App Storeのアプリ検索・ランキング BuzzMac! The Most Fun Backgammon Game Ever! There is a reason why the oldest game on earth is still one of the most played games! 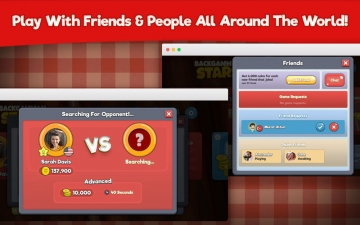 It’s high time you play and socialize real time with friends, families and people all around the world. 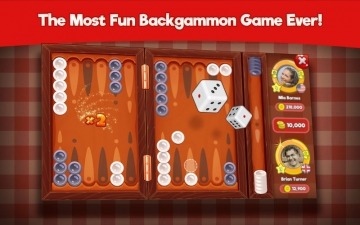 Backgammon Stars, with a multi platform feature allows you to play against anyone with any device! 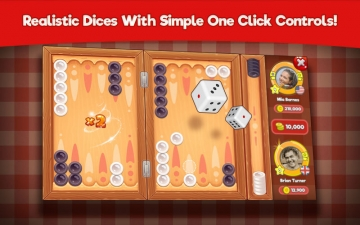 Beautiful realistic 3D dices with One Tap game-play allows for intuitive controls, quick and precise movement. Jump straight into action via instant login or connect with Facebook to show your Facebook friends who is the best! 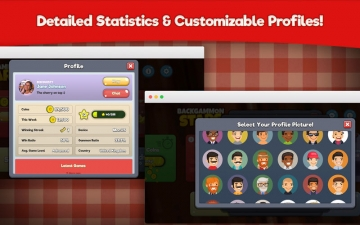 Packed with ready to use profile pics, you will experience fully customizable profile supported by highly detailed player statistics unlike any other board game. Now you can see just how good your opponents are, and by tracking everyone’s latest games, easily compare your skills with them and monitor how they’re doing. Fancy watching the top players play real time? 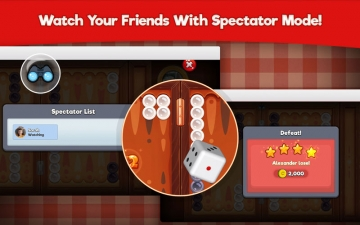 With our unique Spectator Mode just join your friends’ games and experience the action and their gaming skills! Keep track of friends or even make new ones in Backgammon Stars with fully featured friends list, challenge anyone in a breeze! Fully functional modern chat system unlike any other board game, have a chat with your friends, countrymen and even with your opponents after every match! Don’t like to chat? Then just show your mood while playing using beautifully crafted animated Emojis! Many rewarded quests to complete, the more you play the more you're rewarded! You will never run out of coins as we have tons of bonuses for you to collect! All times, weekly, local or world leagues are waiting for you to become one of the Backgammon Stars! Full 24/7 support, backed by abuse management and full monitoring, we will make sure everyone has an enjoyable experience in Backgammon Stars! You’re in good company, savour every bit of the great experience that is waiting for you! * Backgammon is a world wide game which has different names in different countries such as, Tavla, Tawla, Tawleh, Tavli, Gul Bara, Takhteh, Tric Trac, שש-בש ששבש,שש בש, Narde, Shesh Besh, Nackgammon, Plakoto, Tabula, Acey Deucey, Tapa, Trictrac or Moultezim.